In an age of digital downloads and portable players, much music has been relegated to the role of background noise. Some bands fight against it with fast tempos and hard vocals, and others, like Radiohead and Sigur R³s, make a living off playing “study rock.” Santa Barbara’s The Coral Sea fit seamlessly into the latter category. Frontman Rey Villalobos’s soft vocals and the band’s dark instrumental textures at times become kinetic enough to make even a casual listener stand up and take notice. 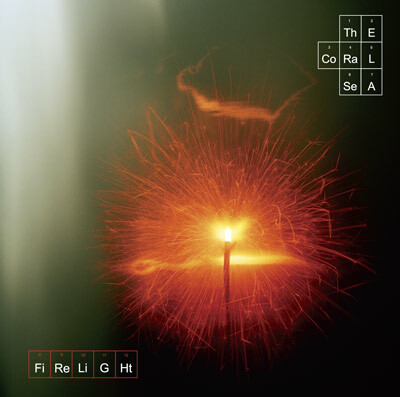 Fittingly, one of Firelight‘s cohesive themes is that of light versus dark, experienced most notably on the track “Cold Eyes Down,” with a violent lyrical beginning and the contrastingly optimistic outro playing off each other beautifully. The shining star of the effort undeniably is James Garza’s guitar work, which sings crisply and cleanly throughout.